Qualitative interviews with male and female stakeholders from science, research funding, science politics and the societal public focus on the scientific and societal acceptance of gender research. 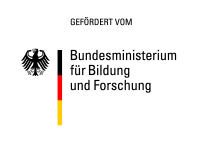 Case studies of selected universities in different Federal states of Germany are another part of the research. They focus on organisational strategies of action and legitimisation as well as mechanisms of support and resistance in order to consider gender research in processes of organisational development. Research methods are qualitative interviews and document analyses. By means of problem-centred interviews with the next generation of gender studies scholars the cultural and structural transformations in the science system are investigated. Special attention is paid for the conditions of scientific qualification of doctoral students and postdoctoral scholars. Websites and document analyses serve for working out the strategies, measures and instruments of promoting gender research by national and Federal funding organisations from the public sector. Also, the study is interested in future plans of these organisations to promote gender research. Based on the results, finally recommendations for promoting gender research will be developed and communicated to stakeholders in science politics and research funding.